Tom McLaughlin: Gospels Not Gospel Anymore? Is Paris Safe For Our High School Students? It was worse than I thought. 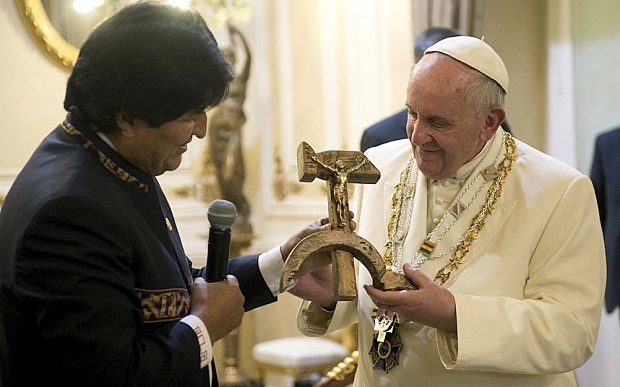 The Roman Catholic Church was being undermined by Marxists further back than I ever imagined. I knew there were Jesuits and other priests holding official positions in the Marxist Sandinista government of Nicaragua during the 1970s, but I thought they were anomalous. Now I’m learning that a majority of Jesuits believe Marxism and Christianity have more commonalities than differences. 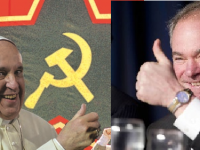 For decades, Marxist Catholic priests and bishops stayed in the closet, just as Marxist Democrats in the US government did, but Marxists in Catholic Church came out first — during the 1970s near as I can tell. They were led by Jesuits who had for centuries been the most conservative of priestly orders. By the seventies they’d become the furthest left. Marxists in the Democrat Party are mostly closeted, though Bernie Sanders opened the door by declaring himself socialist. The support he received last year indicates like-minded Democrats are in the majority. Sanders came close to the presidency in 2016. Had he won, he’d have replaced the deeply-closeted Barack Obama. He lost the nomination, however, to Hillary Clinton, who chose as her running mate Virginia Senator Tim Kaine. He was nearly elected vice-president — a heartbeat away from the presidency. Kaine was educated by Jesuits. He’s also a true-believer in Marxist “Liberation Theology” under which Jesuits justify making revolution alongside Marxist guerrillas in the jungles of Central America and elsewhere. One Jesuit, James Francis Carney, SJ was born and raised in Chicago and killed while fighting with Marxist revolutionaries in Honduras. “We Christian-Marxists have to fight side-by-side in Central America with the Marxists who do not believe in God,” Carney wrote, “in order to form a new socialist society . . . To be a Christian is to be a revolutionary.” If you google Carney's name, you’ll find nothing but adulatory posts about him from other Jesuits and Catholics in general. Tim Kaine sought out and spent an evening with Father James Carney in Central America before he was killed. Evil in that “societal framework” is capitalism — as practiced in Central America and elsewhere under the leadership of the United States. That’s what Jesuits fight now. 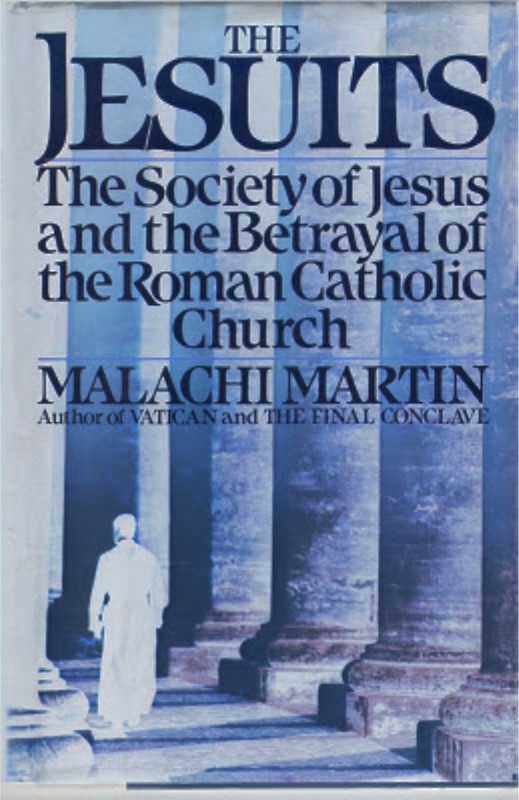 On page 57 of The Jesuits, Martin describes the nexus of Liberation Theology and Marxist-Leninism, in part, thusly: “Hell became the capitalist system. The American president, leader of the greatest capitalist country, became the Great Satan.” In 2013, the conservative Pope Benedict XVI resigned and was replaced by Pope Francis, the first Jesuit pope. 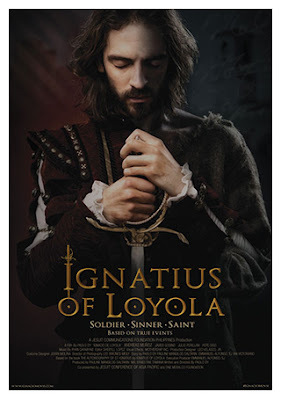 Martin sometimes called Jesuits the pope’s “rapid deployment force.” That’s apt, as he explained when describing former soldier St. Ignatius of Loyola’s purpose in founding the Society of Jesus, as the Jesuits are called officially, back in the 1500s. They were like soldiers, only they were fighting intellectually and morally, not physically. Each member had to undergo a rigorous educational training regimen so as to be ready to match up with the sharpest theologians, scientists, philosophers, politicians and government officials the world over. For centuries they engaged in intellectual combat with anti-Christian leaders in Enlightenment Europe and more than held their own. For more than four hundred years, Jesuits took the usual vows other priests did as well as an additional vow of total obedience to the pope himself, whoever he might be and whatever he might order. Under conservative Popes John Paul II and Benedict XVI, Jesuits chafed against their orders. What will happen under Pope Francis — one of their own? What he said about the gospels is much like what Democrats claim about our Constitution: There are no absolutes. They can mean whatever you want them to mean. So many problems of this world would end if there was no such thing as organized religion. Watching, and hearing about, different factions of religious people squabbling and fighting is so tiresome. I love history. I really love my church too. And this book is a disgrace to both. I wanted some objectivity but what I got was polemics... Anyways, don't stop at this book if you want to learn about the Jesuits. and if at all possible, check it out of the library rather than buying it. Don't waste your money. full of absurd conspiracy theory, ludicrous reductions, gross generalizations, unproveable accusations, and scandal-mongering hysteria. Paranoids like this make me wince sometimes about being Catholic. Martin attacked, attacked, attacked. He did not seem at all interested in bringing a fair and even-handed discussion. The author early on showed he could not (or would not) differentiate between communism and socialism. He rather reminded me of Senator Joseph McCarthy at this point. This book is essentially untrue. 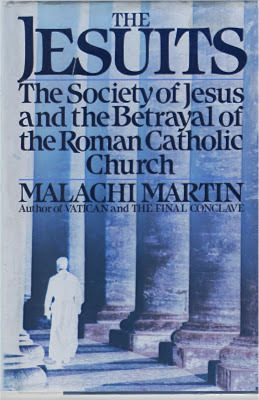 Its thesis, that the Jesuits are tyring to overthrow both the Pope and democracy is absurd. In Boston the ex-priest Martin claimed to be a priest in good standing on a radio program about his book, and a quick check by the program's producer to the Brooklyn diocese, where he claimed to be incardinated, proved him a liar. In the book itself he reports on things he cannot possibly know about. For example he reports in great detail on an intimate meeting between the Pope and Father Arrupe, the Jesuit general. Only the Pope and Arrupe know what happened there, and neither has or would talk about it, least of all to a fallen away priest. This book is merely about a figment of the author's imagination. "There are no absolutes. They can mean whatever you want them to mean." Wrong. The Constitution can not mean whatever you want it to. But there is no arguement to it being interpreted differently. I wonder if Tom thinks there is only one clear, unarguable meaning to the words "well-regulated militia". Tom mentions only Democrats thinking that it is a living document. No mention of all Republicans who have extreme problems with the 14th amendment, and the "anchor" babies that were born in the USA being citizens. Yup. It looked that way at first. Then he started stating his views on homosexuality, capitalism, Castro, anthropogenic climate change, marriage, scripture, and the rest. Benedict warned about the "dictatorship of relativism." Jesuit leaders, Francis and Sosa, epitomize it. Care to be more explicit about your objections to Marxism? Is it because they are atheists? or because.....? 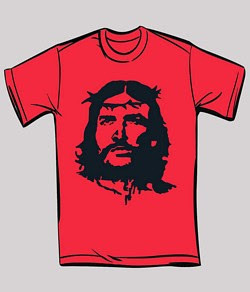 I can see the connection between a Marxist/socialist system and the teachings of Jesus. Why can't you? The early disciples lived within a system of communal property. 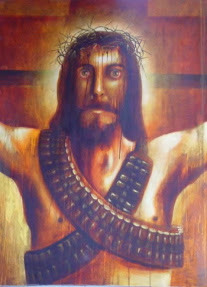 Jesus would probably prefer a system of more equality as opposed to one with less. That's not to say that such a political system works well. History has proven it doesn't. But neither does unregulated capitalism, which allows the rich and strong to prey upon the weak and powerless. Isn't that the state of our politics (especially at the national level) currently, when the only people our legislators listen to are the corporations. The Pope's views on homosexuality, capitalism, climate change, marriage, scripture, and the rest are exactly what make him the greatest Pope ever! I agree with the earlier comment about marxism and capitalism. History seems to indicate that both systems flounder on their own, and a mix of the two would probably be what works best. This may be hard for people only able to view the world in black and white to understand. Sanders ideas incorporated both systems, and it is a shame we get our current disaster instead. Capitalism must be fettered, yes. We have restrictions on it already here in the US. There exist volumes of regulation in state and federal government. Under Democrats, these increase to the point where they restrict capitalism's energy to create wealth. Reagan, and now Trump, are easing some of those fetters so the economy can again grow above the 2% ceiling we saw under eight years of Obama's socialist restrictions. Yes, in Acts, we see early Christians pooling their wealth in a basically communist system. They also countenanced slavery, but that didn't make it right. Pope Leo XIII tried to reconcile socialism and capitalism in his encyclical "Rerum Novarum" in the 1800s. What we have now is not unlike what he proposed. Now Francis is pulling it all to the left. Where Leo was upfront about his aims, Francis is sly. As for easing regulations, I am sure there are some that good be loosened, but I would gladly sacrifice a little economic growth for a cleaner environment and regulations on food and drugs to keep them safe. Abascal sounds like a very wise man. What is there to argue about what he said?? That is just ridiculous. Even if it were true that some think evil/goodness does not come from within, what does it mean by placing it instead on society? Society is composed of many people, so it still comes down to people. Maybe the idea is that many evil people together create exponentially more evil? Sort of like placing the evil of the Holocaust on Nazism instead of on each individual involved. I think a case could be made that the institution of slavery was evil, the very idea was evil. But ultimately it comes down to individuals. Huh? He was a "deeply closeted" socialist, but somehow you were smart enough to figure out what he really was? Not many people must have figured this out, it being so "deeply closeted". And why on earth, especially after his re-election, would he feel the need to keep it closeted? Some good advice would be to re-read some of what you write and really think it over. 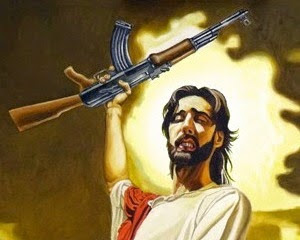 I would love Jesus to return to earth and run for president, because I am certain he would run as a socialist. Pope Leo XIII was an another earlier pope who seemed sympathetic to socialist causes, as he focused attention on the dehumanizing conditions in which many workers labored. He affirmed workers’ rights to just wages, rest, and fair treatment, to form unions, and to strike if necessary. He called on governments to promote a more equal distribution of resources and said, in particular, that the poor “have a claim to special consideration.” His attacks on capitalism for its endorsement of greed, its concentration of wealth, and its mistreatment of workers had a major influence on the emerging socialist movement in Europe and America. Today’s democratic socialists, like Sanders,’ want to make capitalism more humane. They believe in private enterprise but think it should be subject to rules that guarantee businesses act responsibly. Banks shouldn’t engage in reckless predatory lending. Energy corporations shouldn’t endanger and planet and public health by emitting too much pollution. Companies should be required to guarantee that consumer products are safe and that companies pay decent wages and provide safe workplaces. Democratic socialism also means reducing the political influence of the super rich and big corporations. I wonder which of these ideas you are against. "“These days, the American dream is more apt to be realized in South America, in places such as Ecuador, Venezuela and Argentina, where incomes are actually more equal today than they are in the land of Horatio Alger.” — Bernie Sanders (American dupe) August 5, 2011"
All those "promises" of Socialist, Marxist, Communist, Nigerian Princes look SOOOOO pretty...on paper! They might even work, provided there were NO exceptions to a death penalty for failure to adhere. "We voted on the last of the chickens for the "free" dinner last night." I guess it just hasn't been done RIGHT...yet. I'm thinking Mr. Sanders stepped in it, YET AGAIN, mocking Mr. Trump's recognition of The Australian Model. I wonder why the natural food co-op in Burlington was so ...expensive? "Democratic socialism also means reducing the political influence of the super rich and big corporations". I'm sure the nice folks in (ie)Greece, Venezuela, and "Socialism 2.0" North Korea "voted" for their current lot. Anybody that does not understand that this was one of Bernie's biggest goals is stunningly ignorant. Ignorant too, are those who don't understand why natural foods cost more. Time is money. Not only are organic farms typically smaller than conventional ones, but they also, on average, take more time to produce crops because they refrain from using the chemicals and growth hormones used by conventional farmers. And I guess what ever sort of utopian form of government that CaptDMO dreams about just hasn't been done RIGHT...yet. As for what Sander's was after, well it seems to be working pretty well in Denmark. THEN came the parasitic entryists. They ALWAYS do. It's EASIER! Shirt sleeves-to-shirt sleeves... in three generations. "Fascists were not elected with the idea that they would throw in with German imperialism (it is usually forgotten that Mussolini was an ally of France and Great Britain and only threw in with Germany after Great Britain betrayed Italian interests), and the National Socialists were not elected because they promised they would invade the Soviet Union, slaughter the Jews in Eastern Europe, and get Germany into a war with the USA." Denmark is NOT the United States. For an ASTONISHING number or reasons. Hamlets don't afford the same anonymity in hypocritical behavior as cities, for one. Overwhelmingly homogeneous culture for another. Like comparing Apples to... IBMs. "saNity IS a PreCioUs thing..."
Culture. Here's 50% of US "culture". tolerance, sensitivity, diversity. Keep the plates spinning!!!!! Decorum. Here's 75% of the word "what"........"hat"
Cruelty, low-brow. White. Broken plates!!!! Scientific poll graph,(with disclaimer of course), current data, "immigration", The Bible, and stuff. (Para)" If you keep adding milk to your coffee, you no longer have coffee, you have..." Cafe au Lait". Coffee flavored ice cream maybe? (actual)Righteous indignation intellectual discourse comments over there accepted. "You're a big Poopy McPoopypants", and anonymous, comments there get one bounced, tout suite.